One of the key focal pieces of any wedding is the cake. Sitting in splendor at the center of your reception, the cake is often the pinnacle of a couple's wedding theme. So just how much should you spend on this particular element of your wedding? Well, if you are baker Michael Burns from Ayrshire, Scotland, then no price is too high. He has just designed, baked and decorated the UK's largest and most expensive wedding cake for his marriage on Saturday 12th December. The cake, which reached a towering nine foot five inches, weighed several tonnes, and required a fork lift to transport it from his bakery to the venue. As the cake weighed several tons, the floor underneath it also had to be reinforced to prevent it from disappearing through the floorboards! Choosing a wedding dress is probably the most important part of creating your wedding look, but as every fashion conscious woman knows, the devil is in the details, and it is your accessories that can really take your ensemble to new heights. We tracked down the owner of online bridal boutique, Bridie's Baubles to ask her opinion on some hot wedding accessory trends. 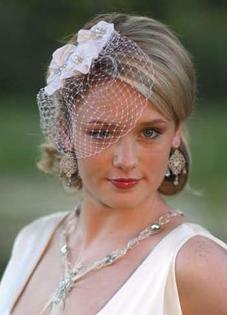 One of the hottest bridal accessory trends that was seen in 2009 was vintage couture, with Bridie's reporting a rise in demand for bird cage veils, custom made veils and vintage accessories, as well as colored pearl jewelry which was bought to match bridesmaid outfits. In general, they said that sales showed an "overall all the desire for couture jewelry styles." Although most brides spend untold hours painstakingly planning each detail of their wedding to ensure that it is special and tasteful, there are some couple who just don't care. They want their wedding their way, and are quite willing to flaunt the normal traditions, as well as stretch the boundaries of what is socially acceptable. While I am all for couples celebrating their commitment in a special way that is relevant to them, there are some things are a just bad taste. Highlighting the best of these wedding mockeries is Wedinator.com. Read more about How Far is Too Far?